Irrespective of the language we use in our daily life you have to communicate with emails in English. 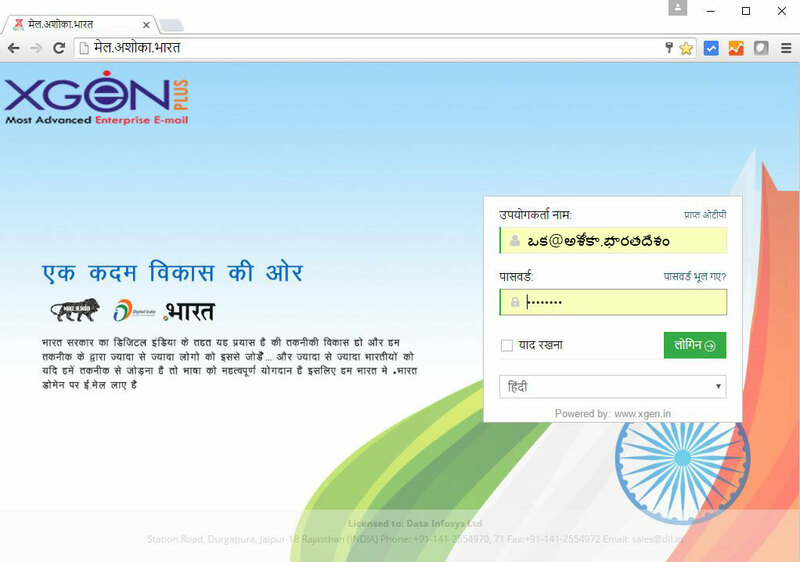 What if you can have emails hosting in your native language,Telugu and you can send and receive emails in Telugu? Taking the crucial step towards Digital India, a Made in India product, XgenPlus has started offering Email address in Telugu language. XgenPlus fully support IDN Email Hosting that allows user to have email address in Telugu language. The main reason behind giving Telugu email id’s is to fill the communication gap that exist due to Non English people. If the user have their communication in his own language Telugu then, he can interact with the native people in a better way that helps to build trust for his company. Looking for a new Telugu email address? Here’s a simple and easy thing you need to do. Contact our sales department either via instant call request or live chat with us.